It’s been two-hundred-and-fifty-five years of ChartHouse’s existence in the Gardiner Building on Long Wharf in Boston harbor. It’s been one week since Tom and I dined there—and we can’t wait to go back. ChartHouse originally served as the office of Thomas Hancock and subsequently, his nephew, John Hancock. 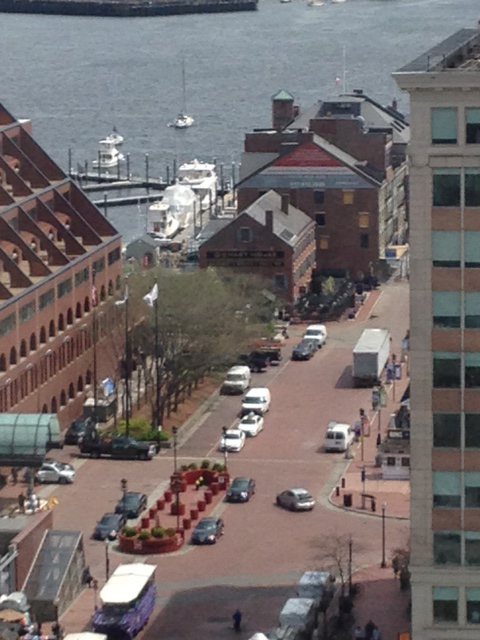 Once referred to as “Hancock’s CountingHouse,” it’s the oldest building on Long Wharf. Over the past two hundred years, while Boston evolved, Long Wharf and its granite and brick warehouses fell into neglect. 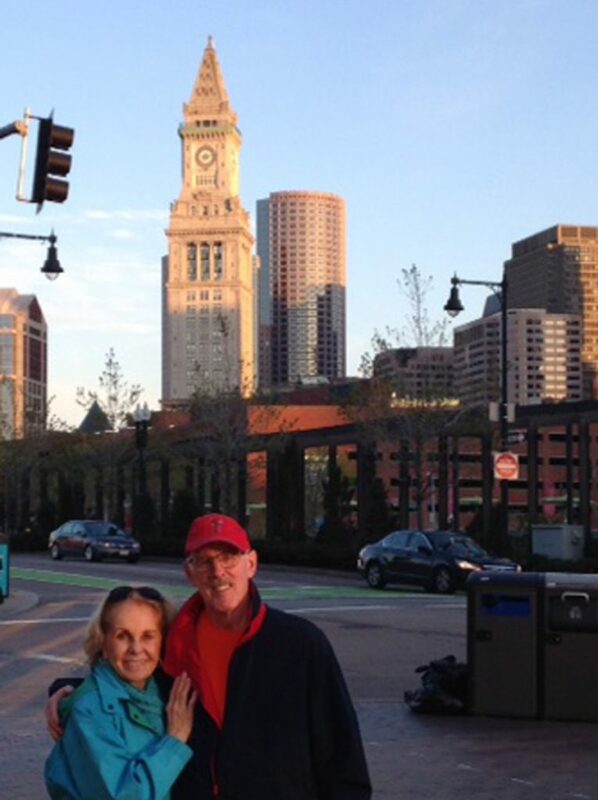 In the 1960s the Boston Redevelopment Authority acquired the wharf with the aim of revitalization, encouraging private rehabilitation of the Gardiner building and CustomHouse Block, another historic building now dedicated to guests of Marriott. After a four-month-long renovation in 2011, the Gardiner Building was preserved for years to come. The vibrant and refreshing new décor still boasts many original elements such as Hancock’s safe, broad-wooden beams, red-brick walls, and the original staircase. 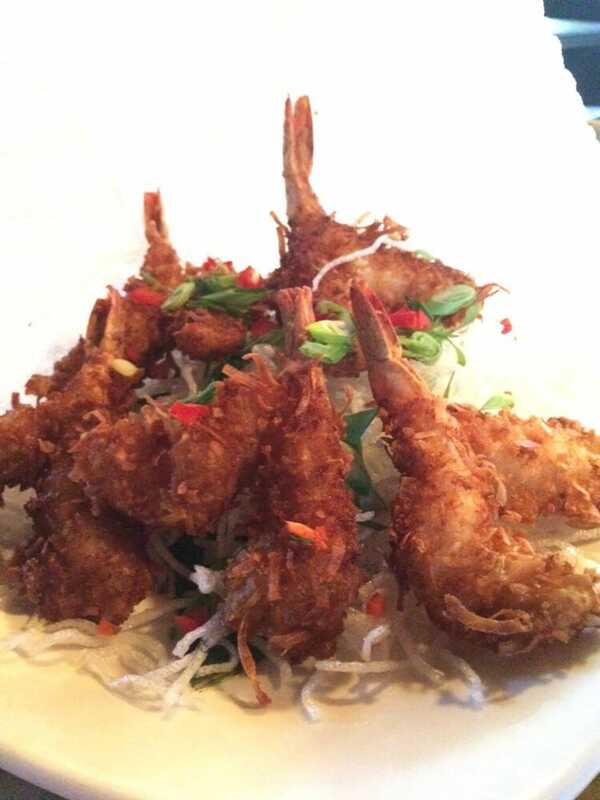 Coconut shrimp served with a fan made of rice. I don’t want to leave out ChartHouse dining experience. 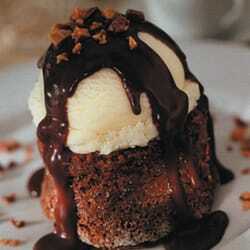 The food rated in the five-star category with the coconut shrimp, and lava cake topped with ice cream and fudge. The complimentary dessert was a perk of our stay at the Marriot CustomHouse. I love New York. It’s my hometown. But I think Boston is now a big contender for my favorite city. 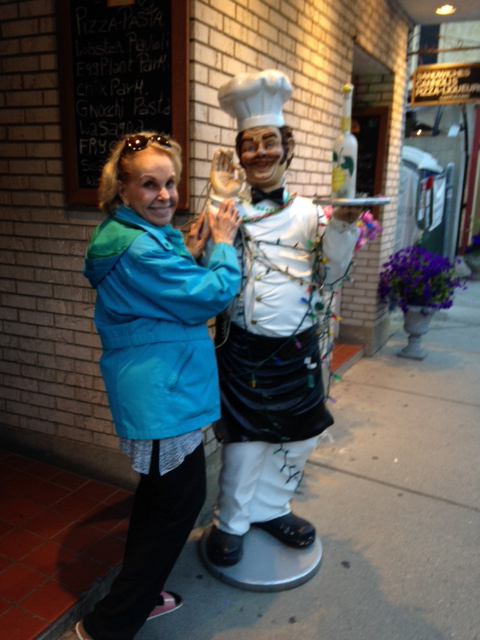 It’s easy to get around on foot, little Italy (the North End) our fav. Until next time, Love, Gail. Gail Ingis is an author, artist, and interior designer. Her upcoming romance The Unforgettable Miss Baldwin will be released in summer 2018. 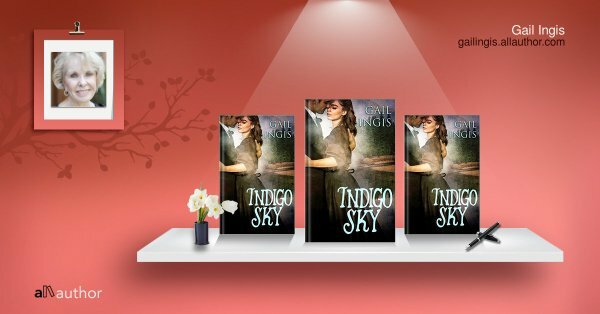 Her current historical romance, Indigo Sky can be purchased on amazon. Thank you to ChartHouse’s Legendary Dining (scroll publication). On the front of the scroll is a brief history of ChartHouse and on the back our Constitution. ChartHouse is located at 60 Long Wharf, Boston, MA. Chart-House.com.